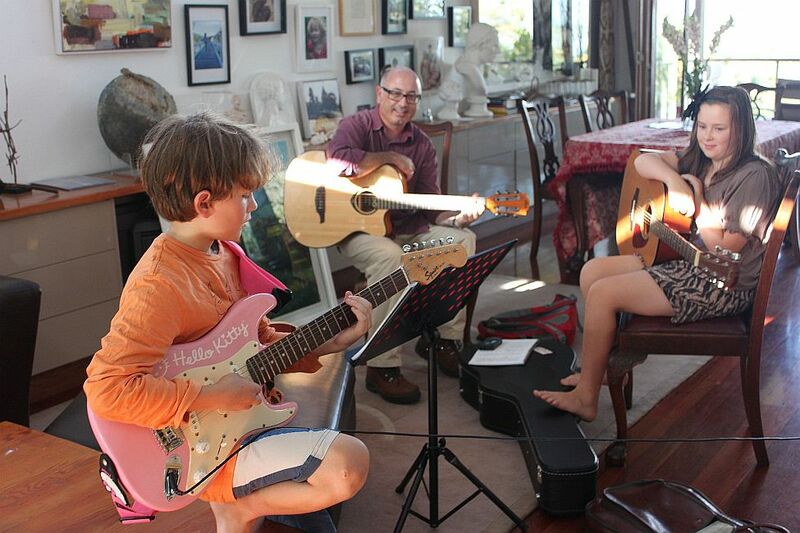 Mick Cardy has been teaching guitar for 20 years. It is from this text that he teaches. Feel free to contact Mick via email or call 0411-447-924.
text written by Mick Cardy in the 90's and continually updated since then. Although this book was primarily written as a teaching aid, it is also a great resource for the aspiring songwriter, it has many tools for improvisation leading to songwriting. It has lateral approaches to improvising on common and foreign scales for guitar and bass. 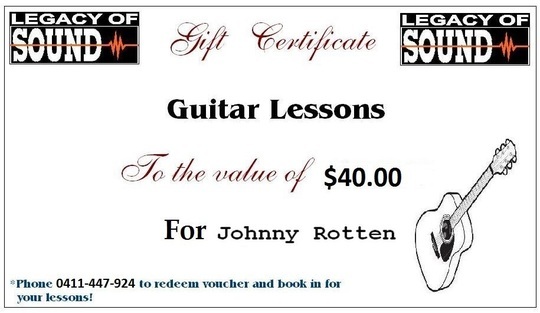 We also do guitar repairs and set ups and amp repairs -phone for a quote. If you are in the area we can pick the instrument up and drop it back to you at no extra cost. Also we often have a range of new and reconditioned guitars and amps for sale and a number of accessories such as tuners, guitar strings etc, contact us for prices and postage.